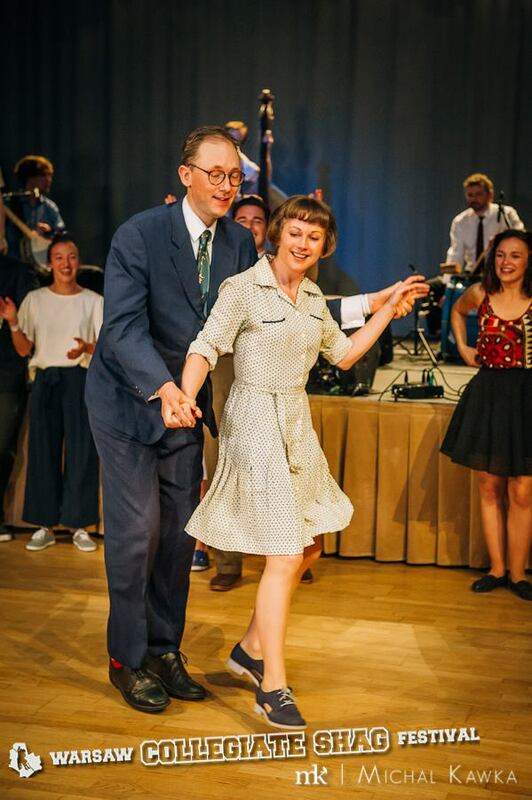 Peter and Aila are delighted to be returning to Warsaw with them a group of enthusiastic shagsters from London’s Shag Pile! 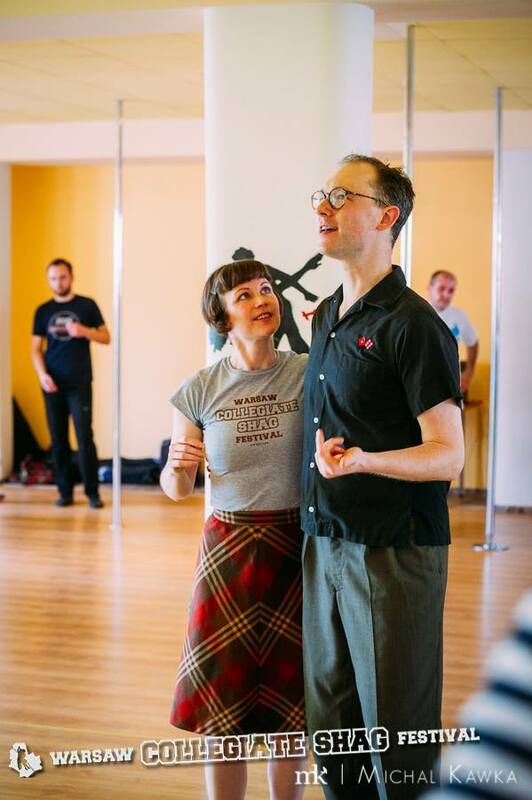 Shag is special for the wide array of styles it offers, and Peter and Aila enjoy experimenting with a wide range of music, styling, and speeds in their classes. 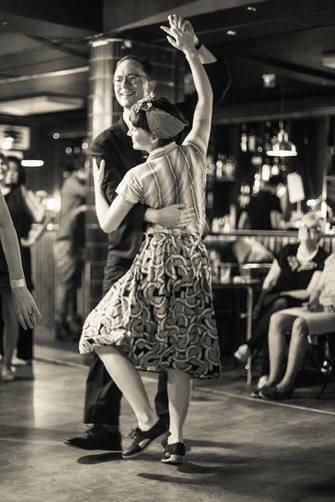 This infectious love of the dance has taken them all over the UK and Europe, and saw them win Shag Gold at ‘Rock that Swing’ 2015. 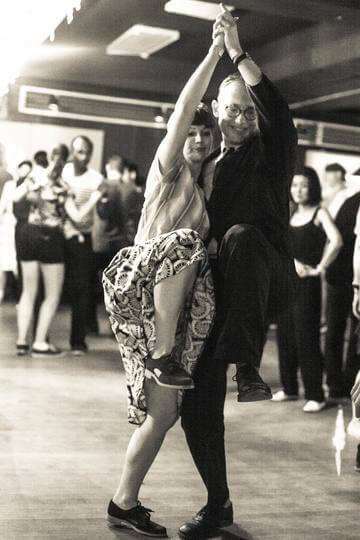 Peter has been dancing for over 10 years. 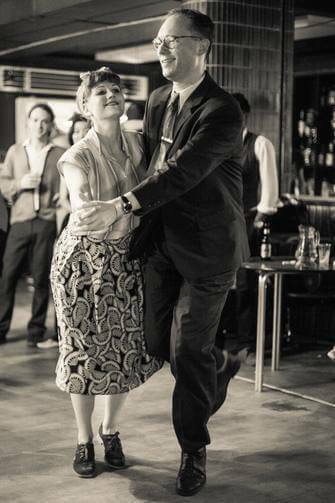 After running an unofficial week of Shag in Herrang, Peter returned to London and set up ‘Shag Pile’, offering high quality weekly classes, regular workshops and special events. Meanwhile his Herrang students set up scenes in Melbourne, Stockholm and Rio! As a performer, he has danced in the films ‘Gambit’, ‘Me and Orson Welles’, ‘Avengers 2’ and ‘Where I Belong’, for which he taught a large group of actors and extras. Aila is a highly trained dancer and performer, with deep experience in a huge variety of dance forms. As choreographer and director of internationally renowned flapper troupe ‘The Bee’s Knees’, she has performed at events all over the world including the Venice carnival. Aila leads Shag performance group ‘The Shag Pilots’ – and you can look forward to seeing more of them in the year ahead!